Twice each day, the tide surges past Point No Point on Washington State's Olympic Peninsula, causing the upwelling of cold, nutrient-rich water. These nutrients support clouds of tiny plankton that feed vast schools of herring and sand lance. They in turn attract fish-eating birds, which flock here by the thousands. 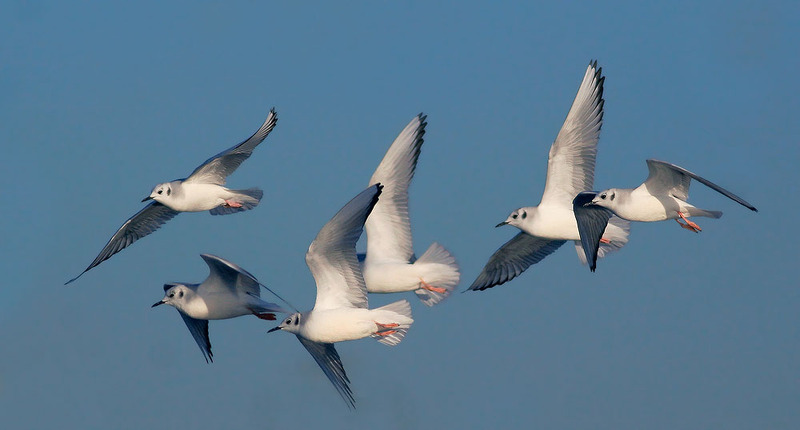 Among them are Bonaparte's Gulls, wheeling in the sun. Add in the diving birds - auklets, murres, mergansers, and cormorants - and it's an unforgettable spectacle. Stand on the point and watch, as the tide, the fish, and the birds pass in review. Today, we’re watching the daily bird spectacle at Point No Point on Washington State’s Olympic Peninsula. Twice each day, the tide surges past this point, causing the upwelling of cold, nutrient-rich water. These nutrients support clouds of tiny plankton that feed vast schools of herring and sand lance. They in turn attract fish-eating birds, which flock here by the thousands. Among them are Bonaparte’s Gulls. We can see these tiny gulls with black heads scattered along the tidal rips. As they rise in flocks, wheeling in the sun, their white wing-patches flash like mirrors. Bright red legs dangle as they settle back to the water. 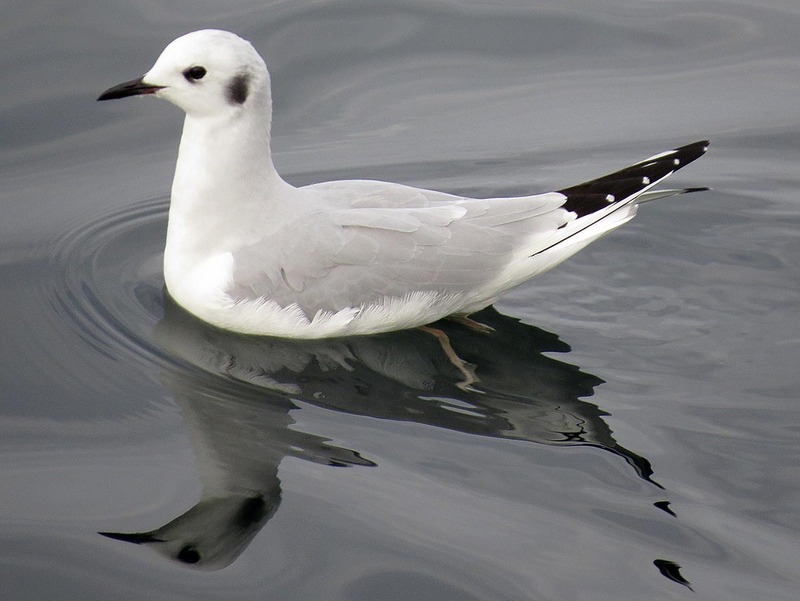 Several hundred Bonaparte’s are feeding in one spot, splashing down on the surface and coming up with small fish. Add in the diving birds – auklets, murres mergansers, and cormorants – and it’s an unforgettable spectacle. Stand on the point and watch, as the tide, the fish, and the birds pass in review. Writers for BirdNote include Dennis Paulson, Ellen Blackstone, Todd Peterson, and Bob Sundstrom. Our producer is John Kessler and our executive producer is Chris Peterson. Bird sounds are provided by The Macaulay Library at the Cornell Lab of Ornithology. For BirdNote, I’m Michael Stein.